Just two days after releasing the stable version of Chrome 37, Google has announced the release of Chrome 38 beta for Windows, Mac, and Linux. New features include a new user switching interface for profiles, a Guest mode, and 64-bit by default for OS X users. If you’re already signed into Chrome or choose to sign in, you’ll then be able to pick up where you left off with all of your tabs, bookmarks, and history automatically kept in sync. If you share a computer with someone else, you can add multiple profiles and then choose “Switch person” when needed to keep your stuff separate. 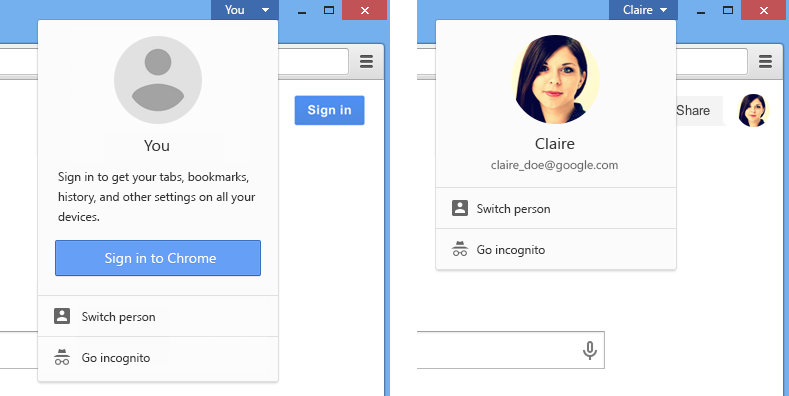 Speaking of other profiles, there’s a new “Guest mode” (click on the new profile dropdown => Switch person > Browse as Guest) meant for letting others use Chrome on your computer without them accessing your content and settings. Furthermore, once they have closed their tabs, their browsing information is deleted from your computer as well. We covered both of these features extensively when they arrived in the Canary and Dev channels earlier this month. While Chrome has supported multiple user accounts for years now, the options to add and manage them have been buried in the browser’s settings. Finally, while Windows users now have an opt-in a stable version of Chrome 64-bit, Google has decided to go a more direct route with OS X by making the 64-bit version default, although still in beta. All Mac Chrome users on the beta channel have now been updated to the 64-bit version of Chrome 38. While Google doesn’t explicitly say so, it seems that first-generation Intel Macs will not be able to move past Chrome 37. Once Chrome 38 goes stable, it will be going 64-bit for OS X users. As such, Chrome for Mac will no longer support 32-bit NPAPI plugins, although their 64-bit counterparts are supported. Google is working on dropping 32-bit NPAPI plugin support from Chrome altogether, so this should come as no surprise. New experimental user switching design which makes changing profiles and into incognito mode simpler. A new experimental Guest mode. 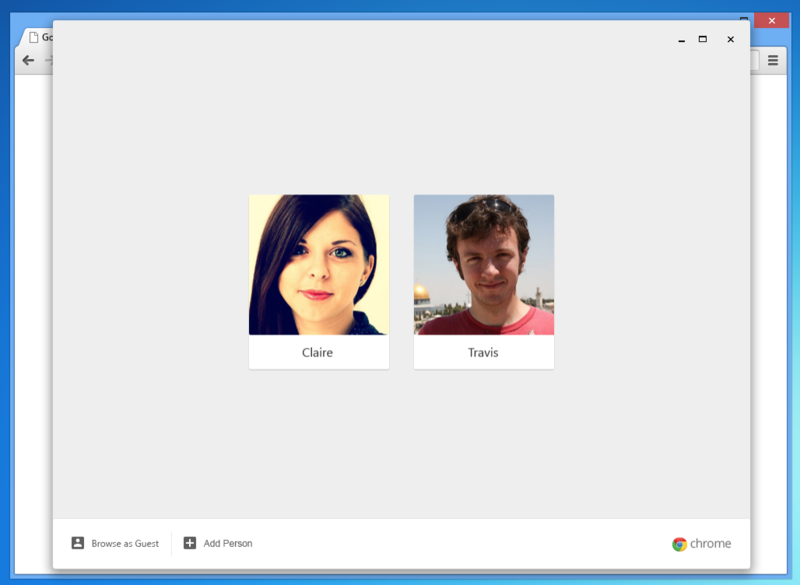 Experimental UI for Chrome supervised users. Chrome 38 is set to launch in September, or possibly early October. We’ll let you know when it’s available for everyone.